One of the most tried-and-true car security practices is a good old fashion alarm. Although many people take it for granted, simply locking your car should get the job done. Leaving your car unlocked is an open invitation to robbers. Lock your car whenever you’re away from it, even if it’s just for a few seconds. If you want to go the additional step of professionally installing another alarm system, your insurance may even decrease. Basically, the more security measures, the better. A metal locking device over your steering wheel, gearstick or brake is another way to ensure that your car is never taken without your knowledge. You can even ward off potential robbers with just the sight of them. 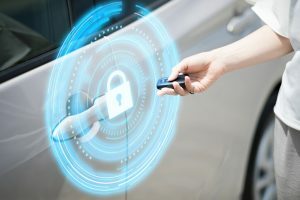 If you really want to make sure that no one takes off with your car, consider using security technology, like an immobilizer. Although they vary, these devices can prevent the ignition, starter pump or fuel pump from working if someone tries to start the car using a method other than the intended key. Although an immobilizer won’t stop your car from getting broken into, it will prevent it from being stolen entirely. Not to mention, just like the addition of a professional car alarm system, an immobilizer fitting can sometimes reduce your insurance. 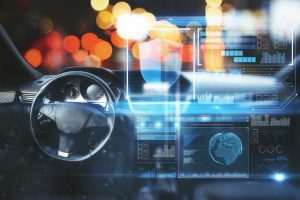 If an immobilizer isn’t enough, maybe you should think about adding a car tracking system. Worst case scenario, you or the authorities will eventually be able to track and recover your vehicle if it’s stolen. Just remember, they can be expensive and occasionally come with a monthly subscription fee, so shop around. Another aspect of car security involves choosing the right area to park. Most of the time, your car should be fine in a driveway, locked garage or car park. Usually the streets aren’t as safe, but it does make a difference when you park in a well-lit area. Obviously your vehicle isn’t the only thing that crooks are interested in, they also rob cars for goods. That’s why it’s important to remove temptations for would-be robbers by stashing your valuables out of sight, if you have to leave them in the car at all. Whether it’s the trunk or the glove box, a thief is less likely to break-in if they don’t see anything of importance. 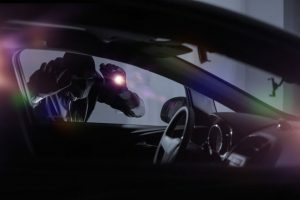 When executed correctly, car security can go a long way towards preserving one of your biggest investments.